The Angels of the Battlefield Awards Gala hosted by the Armed Services YMCA highlights individuals like the Pararescueman, who despite sustaining traumatic brain injury from an IED explosion pushed on to save the lives of his crew while also returning fire to defend them. Heroes similar to the Aviation Mission Specialist who maneuvered through downed limbs, high winds, aircraft debris, and driving rain to get their patients to safety are recognized for their dedication and bravery. Those were the stories of military medics previously honored at the Angels of the Battlefield Awards Gala. The ASYMCA looks forward to this year’s gala and the opportunity to recognize more courageous military medical personnel. The military community, along with individual and corporate supporters come together to honor military medics, corpsmen, and pararescuemen for their courageous and compassionate actions. The awards ceremony will take place on October 2, 2018 in Arlington, Virginia. Angels of the Battlefield is the only event which recognizes the front line actions of military medical personnel. The Angels of the Battlefield Awards Gala acknowledges medics, corpsmen, and pararescuemen for their life-saving medical treatment and trauma care on the battlefield. The ASYMCA works with the military services to select an honoree from each branch. These Angels of the Battlefield are compassionate men and women who risk everything and are often the reason why many of our nation’s heroes wounded in battle have made it home to their families and communities. 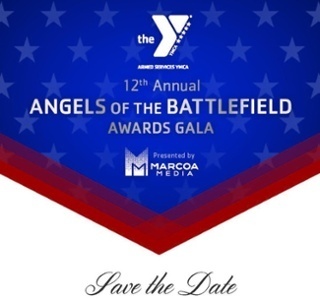 The Angels of the Battlefield is also a special evening because the ASYMCA presents the prestigious Angel of Honor Award. It is presented to an individual or organization demonstrating distinguished and extraordinary advancement of the Armed Services YMCA mission. Recipients must make contributions that extend and propel the mission of the Armed Services YMCA. 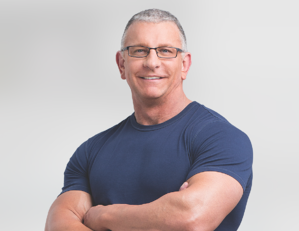 This year, the ASYMCA Board of Directors selected celebrity chef and fitness inspiration, Robert Irvine for his many years of support to the Military. Irvine advocates for healthy eating and living for current and past members of the military. 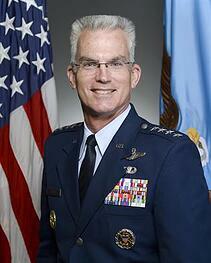 United States Air Force General Paul Selva will serve as this year's keynote speaker. Selva serves as the 10th Vice Chairman of the Joint Chiefs of Staff. In this capacity, he is a member of the Joint Chiefs of Staff and the nation’s second highest-ranking military officer. Leland Vittert, Fox News National Correspondent will once again serve as Master of Ceremonies for the evening. Vittert covered numerous hostile zones during his career as a news correspondent. The Armed Services YMCA has enjoyed having Leland add his personal touch to the evening. 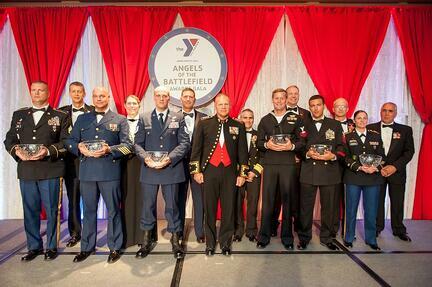 Many sponsors, donors, and organizations come together to make the Angels of the Battlefield Awards Gala possible. The Armed Services YMCA would like to thank all those involved, especially Sightline Media Group, MARCOA Media, USAA, and all other sponsors for supporting the event. Information on how you can attend or support the event can be found here.